Judy McBurney, best known for roles in The Young Doctors and Prisoner, has died at the age of 70 after a four-year battle with cancer. With an early career in modelling, she moved into acting with appearances in Catwalk, Barrier Reef, Seven Little Australians, Behind The Legend, The Box, Homicide, Bluey and Bellbird. In 1973 she was cast as Marilyn MacDonald in Number 96, though had to leave the series shortly after due to illness. The role ended up getting re-cast to Frances Hargreaves, though McBurney later returned to the series in a guest role. She also co-starred in a Nine Network pilot for sitcom It Stands To Reason, based on the British series Till Death Us Do Part. 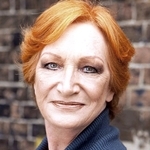 The series was not picked up, but McBurney was soon back at Nine in The Young Doctors as Nurse Tania Livingstone. She played Nurse Livingstone for five years, and her character’s wedding to Dr Tony Garcia (Tony Alvarez) in 1978 was a big event for the soap. 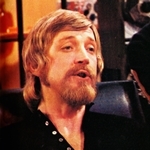 After The Young Doctors ended in 1983, McBurney made a guest appearance in A Country Practice and then joined the cast of Prisoner in the role of inmate Pixie Mason. It was a role that lasted for two years. Later guest roles included Always Greener and Home And Away as well as appearing in commercials and doing voice over work. Source: Facebook, IMDB. TV Times, 2 February 1974, 11 March 1978.